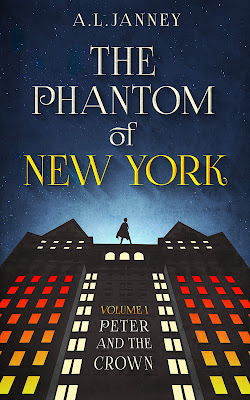 YA Bound Book Tours: Blog Tour Kick-Off: The Phantom of New York, volume 1 - Peter and the Crown by A.L. Janney! 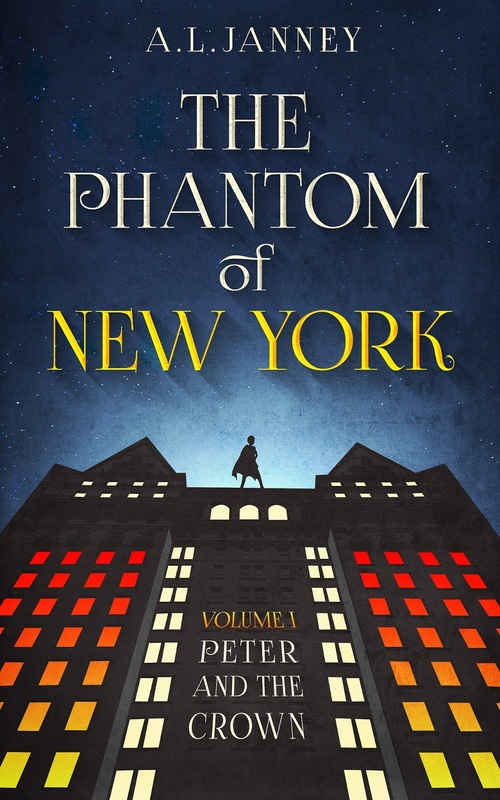 YA Bound Book Tours is organizing a Blog Tour for: The Phantom of New York, volume 1 - Peter and the Crown by A.L. Janney. This tour will run from January 8th to 12th. Check out the tour schedule below. 'This is a story about vigilantes and magic. 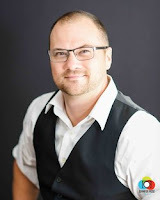 A dangerous man Peter only knows as “The Client” is after his family, so they’ve relocated to New York City. With help from unlikely friends living at the glamorous hotel, including the ghost on the tenth floor, Peter's new life begins. Soon, however, he learns of a plot to destroy his new home, a plot only the Phantom can foil.